You might think that you will have to resort to renting a bike or buying a new one if you are making a long journey. Shipping your bike from Australia or even just across the country itself can be especially expensive, making rental bicycles a tempting option. However, shipping your bike can be rather economical if you plan ahead. You may have come across some custom shipping solutions offered by different companies who specialize in shipping bicycles around the world. However, these services can be expensive, and the costs might eat into your budget more than you would like. Here are some tips for shipping your bike safely and securely. If you want to ship your bike properly, you will need a special box in which to pack it. You can purchase bicycle shipping boxes or cases online or in special courier stores. These boxes will enable you to store and ship your bike safely. They can be expensive, but they will shield your bike from any potential damage during shipping. Be sure to secure them as well as you possibly can, and leave notes on the case as to its contents and value. How much you pay for posting your bike will depend on its size and its ultimate destination. Perhaps the most important thing you will purchase aside from the bike case or box is insurance. Australia Post offices and any courier companies offer insurance up to a certain value. You should be willing to pay for an insurance premium that will cover the value of your bike in case it becomes lost in the post, damaged, or even stolen. If you cannot pay for the insurance policy on the bike, you may want to reconsider sending the bike on to your destination. When you pay for postage, be sure to list a shipping address that you can physically access so that you are present when the bike arrives. Along with shipping fees, you might need to pay customs charges when you bring the bike into the country. These will normally be due when your bike arrives at the customs authorities in your destination. Once you pay the customs charges, your bike will be released. If you do not pay the charges, your bike will be returned and you will have wasted money on shipping and insurance. While couriers and air mail make it easy for you to get your parcels quickly, a bike may take more time to arrive. You may have to wait a few days for it to arrive in the country and clear customs. 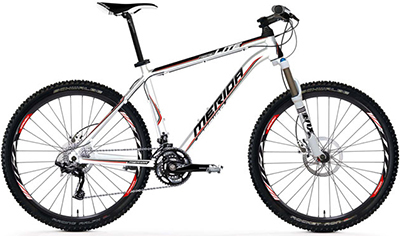 You do not have to abandon your Merida mountain bike just because you are going abroad or moving across the country. Whether you are on a gap year or just wanting to go to the other end of Australia, there are plenty of ways to take your bike with you for the journey. Are you a travel bug? This entry was posted in Vehicle and tagged how to ship bikes, shipping, shipping bike, shipping bike tips on August 26, 2013 by Yami.